Kelly is a Communication Liaison for World Concern in Africa, and is based out of Kenya, where she works to share the stories of those we serve. Introducing The New Africa Area Director, Peter Macharia. 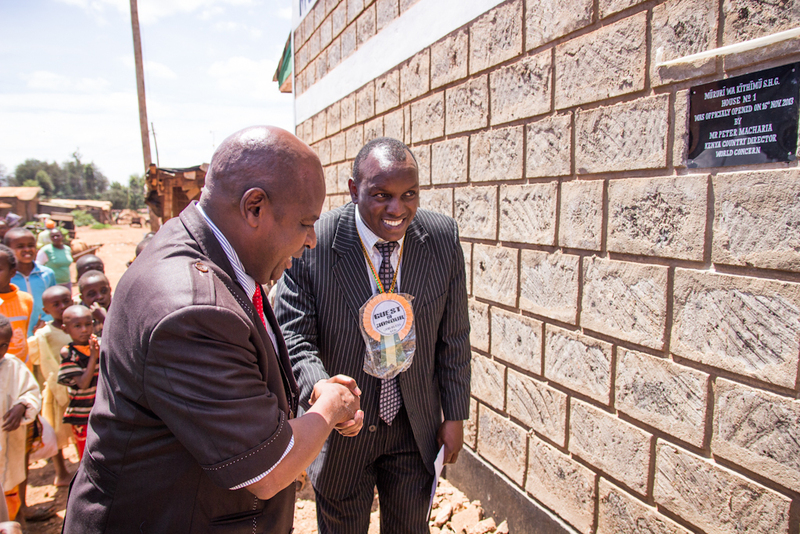 Peter Macharia, the new World Concern Africa Area Director, at the opening of a World Concern supported building in Embu, Kenya. Good morning! Let’s start this off by having you tell me, who is Peter? Well, my full name is Peter Macharia and I’ve just been appointed as the new Africa Area Director, a position I’m very excited about. I’m looking forward to what God is going to do through me and the other staff who work for World Concern Africa. I’ve been working for World Concern for the last 10 years. It has been a very exciting time. Every day when I wake up in the morning I always look forward to what God is going to accomplish through us as a team. Before I joined World Concern it was my prayer that I find a Christian organization that was committed to reaching out to the poorest people, the marginalized that are often forgotten; people that I know are in need of an organization whose mandate spans through both the physical and spiritual. If I had magical powers I would extinguish all evils in the world! I don’t understand why terrorists do what they do. If I had these powers, I would make bad people know that what they are doing is not good. I would work to change people’s minds so that they care about each other and the environment. But I know I’m limited. Also, if I had all the powers and money in the world I’d fly to space and travel everywhere. It would be interesting, probably, to feel like I’m on top of the world. One of the things Peter does best, laugh. Tell me more about your history working with World Concern Africa. 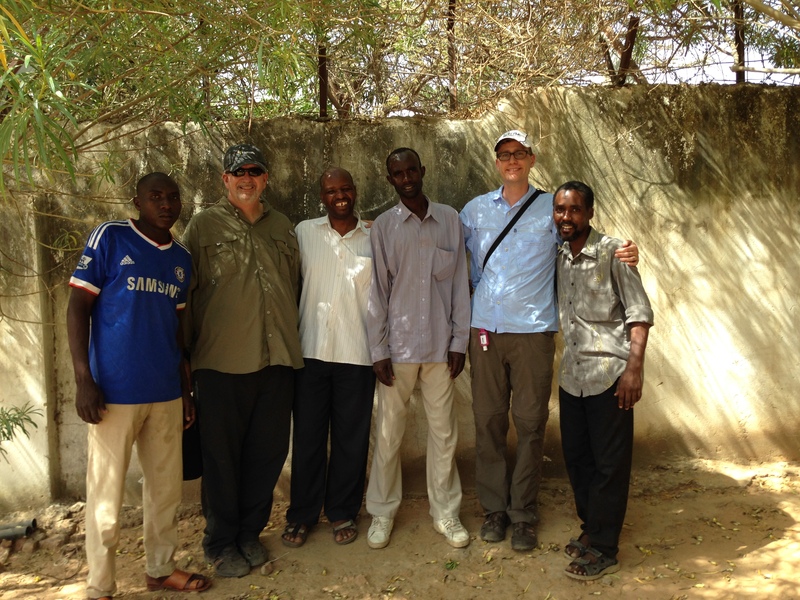 I originally joined World Concern as a grant writer for Somalia projects. After less than a year I came to the Africa office in the same role but covering all of the countries where we work. 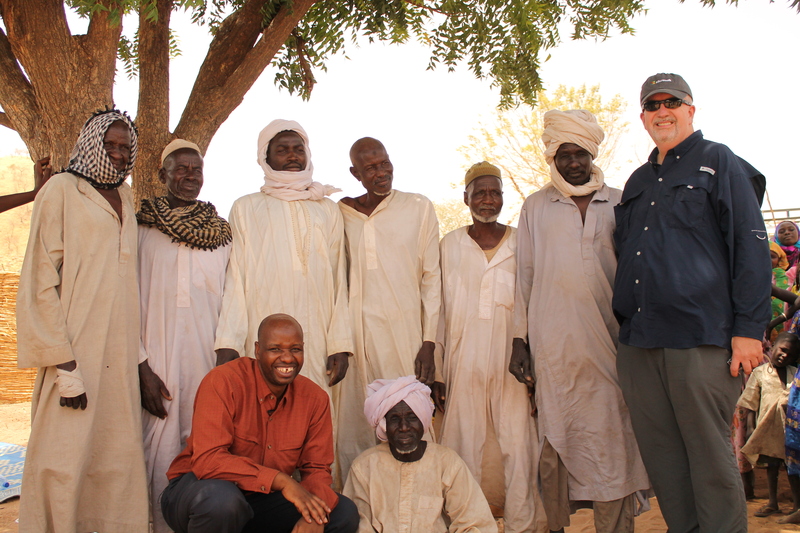 Worked in that position for four years until I was promoted to be the Sudan Country Director. I served in this role for another four years. During my time in this role we saw great growth in staff, funding, and projects. I then moved back to Kenya to be the World Concern Director of Disaster Response. Later I was asked to take on the role of Kenya Country Director, where I have been until being appointed to this position. How do you feel taking on this new, very important role? When I received the news that I’d been appointed I had a mixed reaction. For one, I was very excited, but I also knew that there was a huge challenge ahead of me. This is a sacred calling. I know God will be with me in the rough roads ahead and within the new expectations of this role. What are two facts people may not know about you? When I was young I almost drowned in the local river. From that day on I’ve never swam and now I don’t know how to swim at all. For the last five years I’ve been telling myself that I will teach myself to swim again. We will see. Peter shows off his dance moves at his initiation party in Nairobi, Kenya. What do you think makes World Concern stand out from other organizations? I would say that what makes World Concern different are our values – we are a Christian organization and we are serious about it. We tend to go where other NGOs don’t go and reach very marginalized people groups, “the last, the lost, and the least.” Having worked for other NGOs in the past, I can say that World Concern really represents Christ. Every staff member that joins us joins a culture with Christ at the center, and this is what we take to the field with us. We don’t just take food to people; we also take the love of God. Our desire is that we reach the people God has called us to reach, not who we believe should come first. And we do as much as possible to reach these people. Another thing that makes us different is the passion with which we do our work. Every staff feels very called to work here. Lastly, our projects are holistic – they take care of the entire community and ensure that the future is taken care of. We are careful about the environment and natural resources. 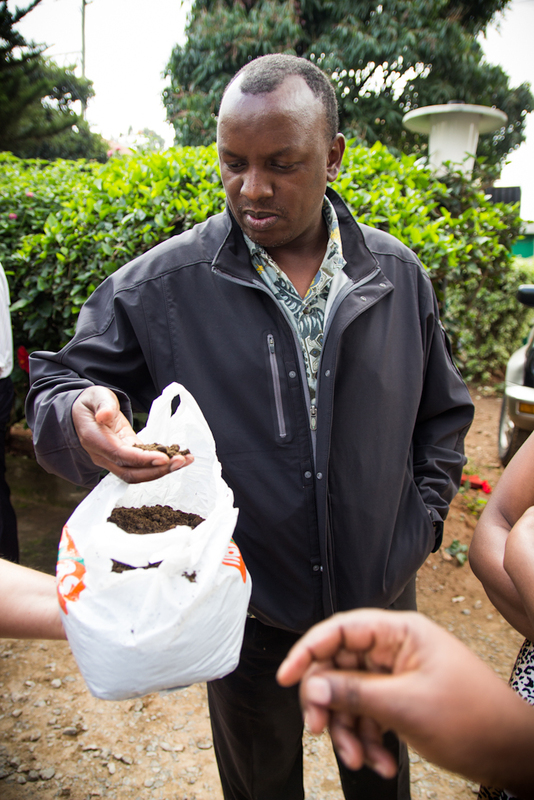 Peter looks at fertilizer during a World Concern farming training. 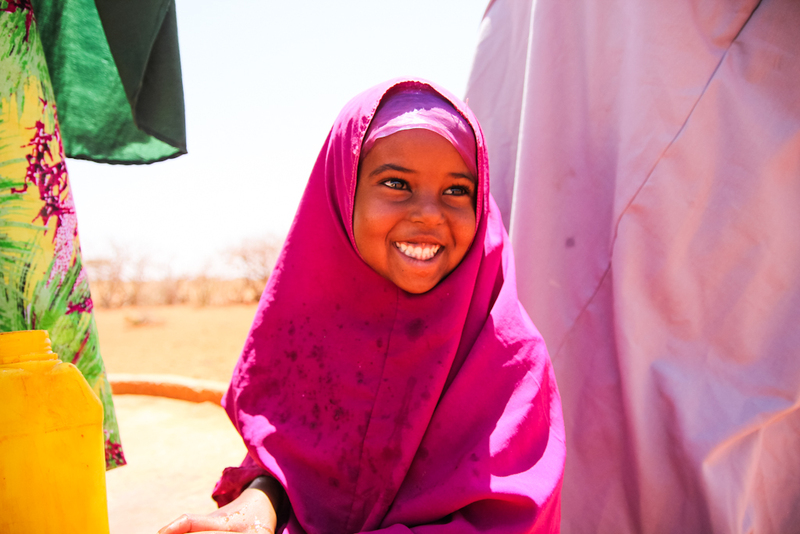 What are your hopes and vision for the future of World Concern Africa? As I take over I really want to see our programs growing in two ways. One, I want to see us reaching to more people who are in need, that aren’t receiving benefits from other organizations like us. Secondly, I want to see growth in terms of funding. Being in a sector that is nonprofit, we require others to come and support what we do. I want to champion the needs of Africa and establish a bridge between the needs and our partners. I want our partners to see themselves as a part of the work we do. I also want us to continue to be smarter in the way we operate. In an ever-growing industry, I want our team to create solid standards for ourselves. 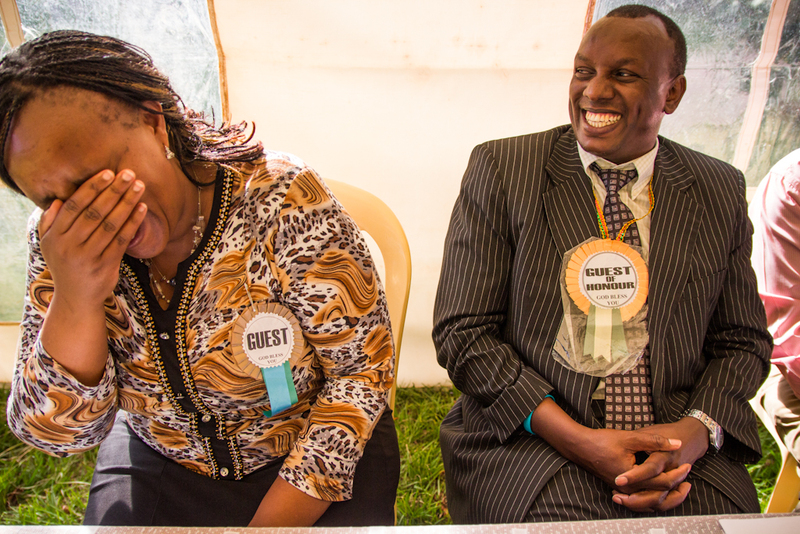 As we reach our beneficiaries we want to do it with dignity. We want them to feel like they are valued and that they have gotten more than they expected. I want us to improve on the quality of the work we do so that the impact that we cause is long-lasting. All of us enjoy what we do. We don’t do it because we are paid, but because this is what God has called us to do. Part of my work is to help the staff feel cared for and that they are serving Christ. 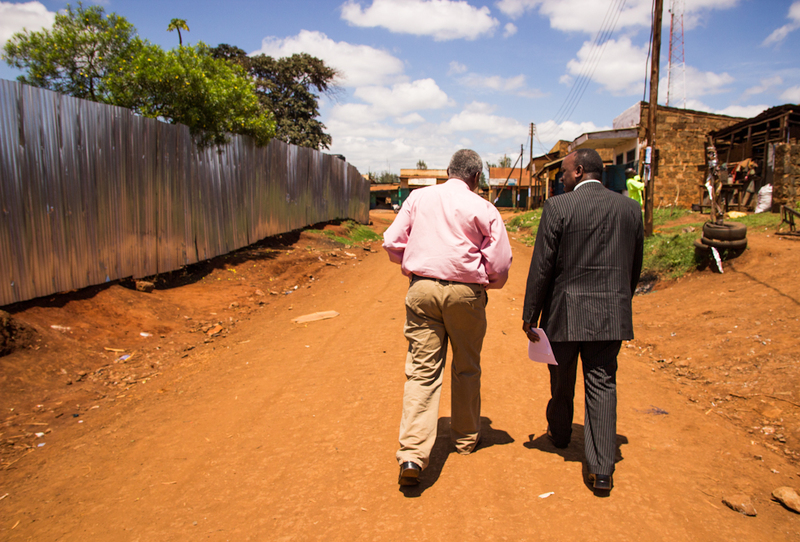 Peter walks with a World Concern beneficiary in Embu, Kenya. Any words you would like to share with World Concern donors? To all World Concern supporters, donors, and partners, I’d say a big thank you. We are where we are because of you. We know you give sacrificially – you give because you trust us and identify us as someone you want to work with. We want to ensure you that your support will reach the people we are called to reach. We want you to know you are part of the transformation of people’s lives. When you support World Concern you are a part of transforming people’s lives – one village at a time, one family at a time, one individual at a time. We urge you to continue to support us. We know this is a gift you have given us, thank you very much for your sacrifice. For a video excerpt of this interview click here. Posted on January 20, 2014 Author Kelly RanckCategories Humanitarian Aid7 Comments on Introducing The New Africa Area Director, Peter Macharia. Brushing back her neon yellow lafaya, Salouakatteer solemnly describes life in Amkharouba, a village in the rural Sila Region of Eastern Chad. 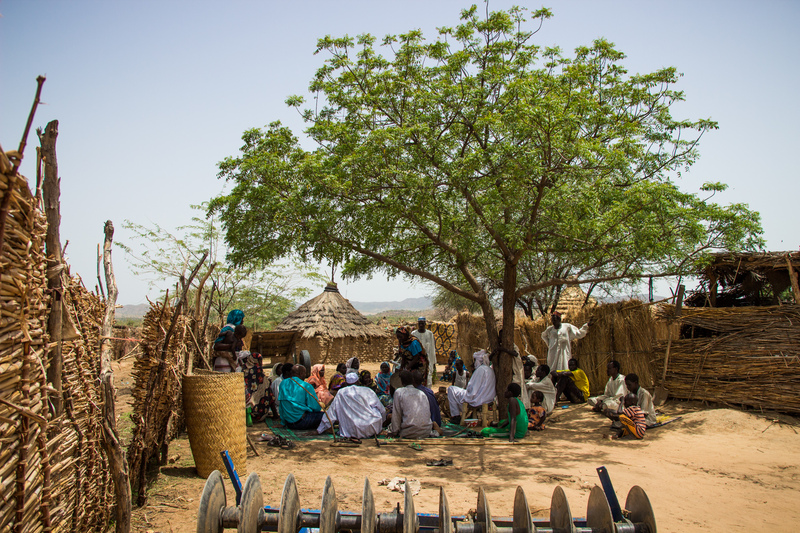 Located close to one and a half hours from the nearest water source – both the land and the people of Amkharouba are dehydrated. Describing her daily activities, Salouakatteer explains that “the water we are getting is very far from here”. Often, she spends the majority of her morning on donkey back traveling to and from the water collection site – an old well. “I go every day, unless sometimes my brother or sisters go instead. The water we are getting is not clean,” Salouakatteer tells me. Though unsure of her age, Salouakatteer appears to be around ten years old. 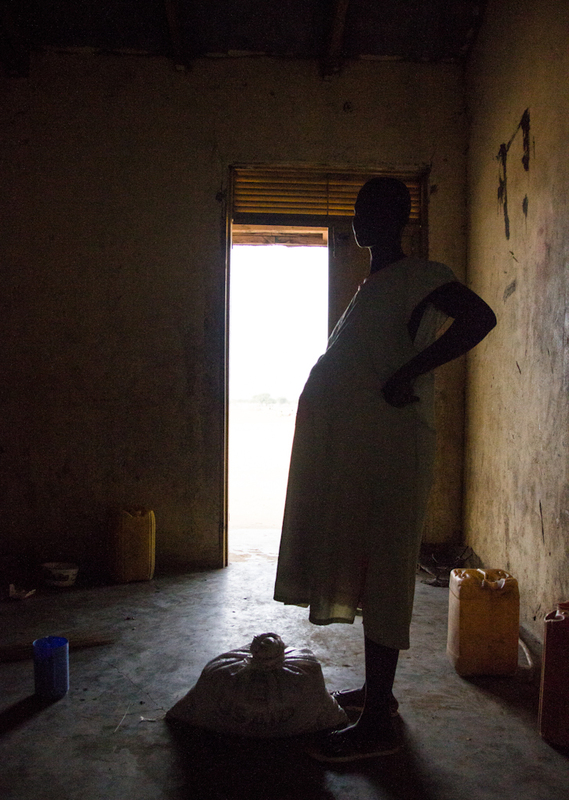 No matter, she is old enough to know that people in her village are dying from hunger and a lack of clean, accessible drinking water. Referring to her six siblings Salouakatteer says, “We eat one to two times a day. Yes, we are hungry everyday – sometimes we even cry.” She solemnly recalls a few people in Amkharouba who have died from such causes. 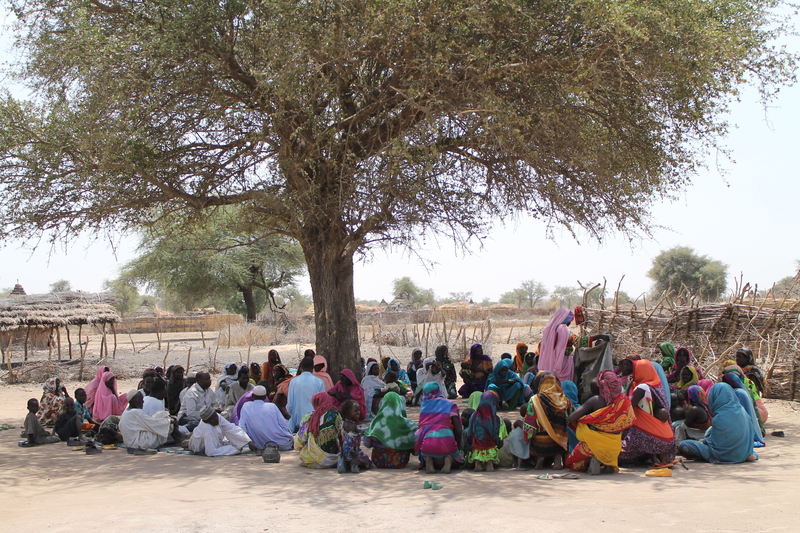 World Concern staff meets with the Amkharouba community under a tree. 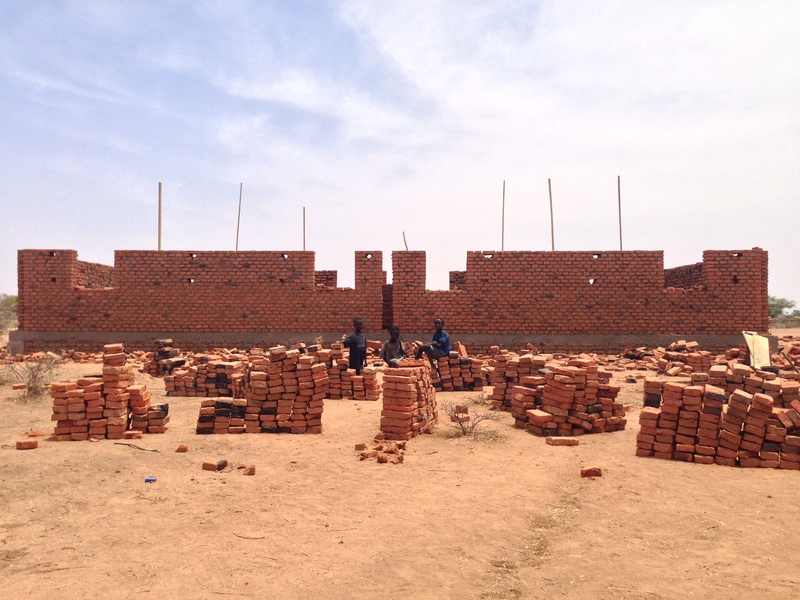 World Concern recently partnered with the people of Amkharouba through an incredible program called One Village Transformed. 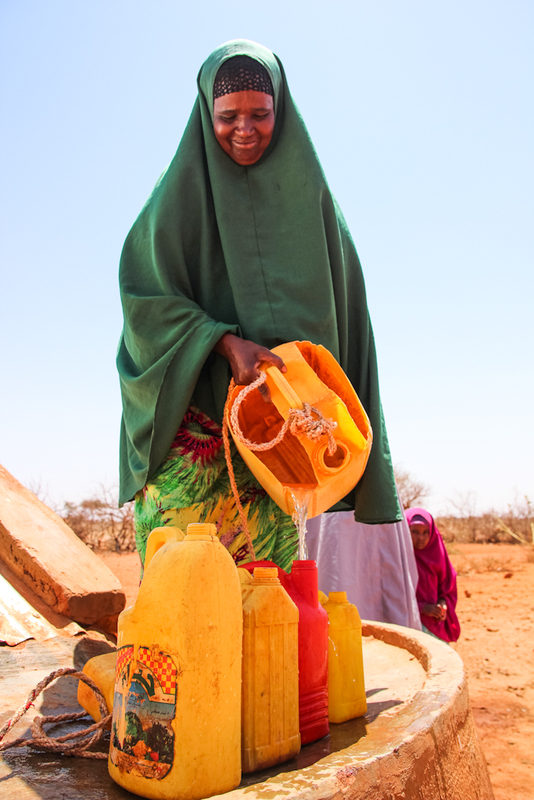 Thanks to private donors who have committed to three years of support, the people of Amkharouba are working alongside World Concern to establish what many of us would consider as basics: accessible clean water, agricultural empowerment, hygiene awareness, and education. Though Salouakatteer’s childhood may have been cut short by her surrounding environment, she is clearly still a child at heart. Just the mention of education reveals a bashful grin on Salouakatteer’s previously stoic face. ** If you are interested in participating in World Concern’s One Village Transformed program (seriously, this is an amazing opportunity), check out this link. 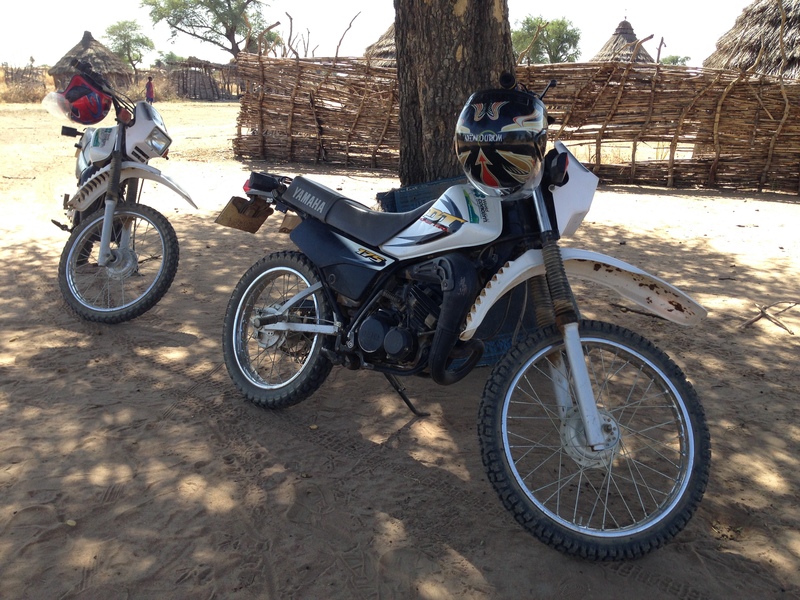 ***Over the next few weeks I plan to frequently update the blog with beneficiary stories from all over East Africa. Tune in to read more about World Concern’s work. Use this blog as a medium for connecting to a people, place, and story that is not frequently talked about in the standard news. It’s noon, the least ideal time of day for interviewing and taking pictures. Stomachs are rumbling, the brisk morning air has been swallowed up by the afternoon heat, and the sun is positioned directly over our heads. Ilova Kokoto and I move into the shade of Ilova’s meager brick home. She lives here with her daughter and granddaughter. Natural light streams through the doorway and frames Ilova’s face – exposing her wisdom-induced wrinkles and deep brown eyes. “I’m not able to know my age,” Ilova shares, but it is apparent that she has lived to see a thing or two. We are in Basuba, a rural village in Lamu county – a detour off of the journey up Kenya’s coast, the road toward Somalia. “Life in Basuba is difficult. 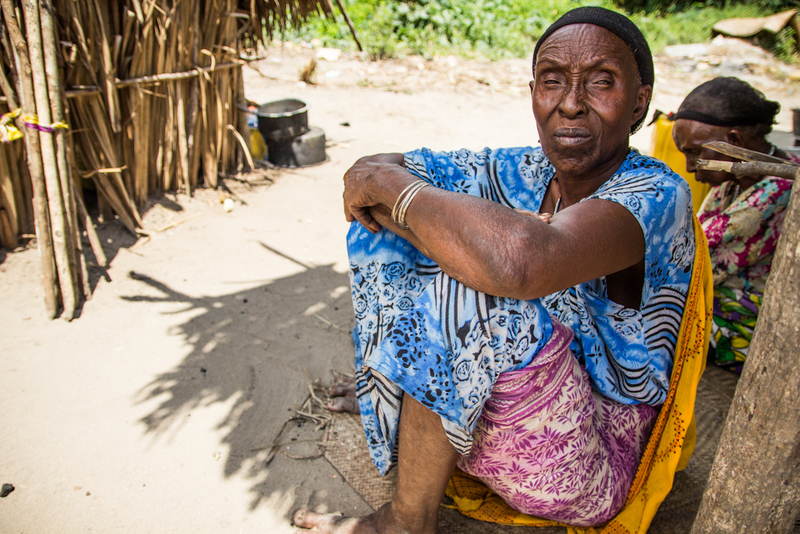 For many years, we have suffered from famine due to numerous droughts,” Ilova explains in perfect Kiswahili, an infamous attribute of Kenya’s coastal region. Though proud of Basuba’s recent clean water improvement, Ilova further informs me about the village’s ongoing challenges – many of which will soon be considered a shida (Kiswahili for trouble) of the past. Take hygiene, for example. 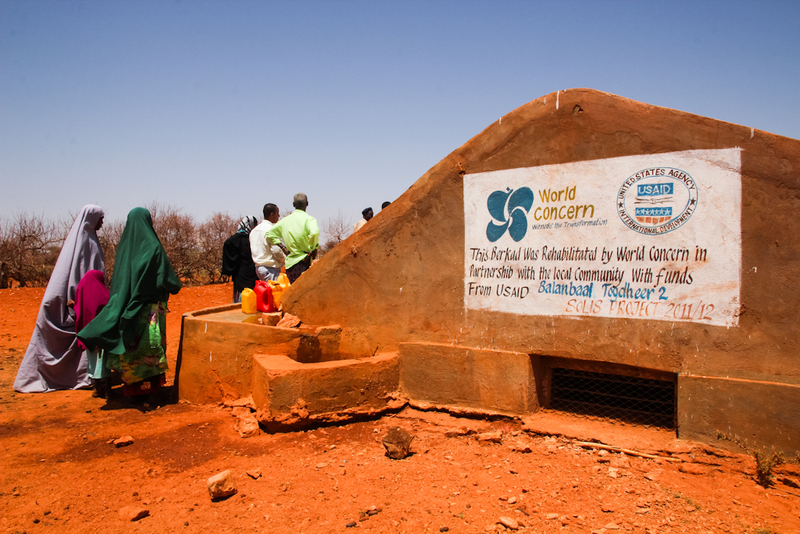 When World Concern first visited Basuba, the community was living naively in hygiene indifference. 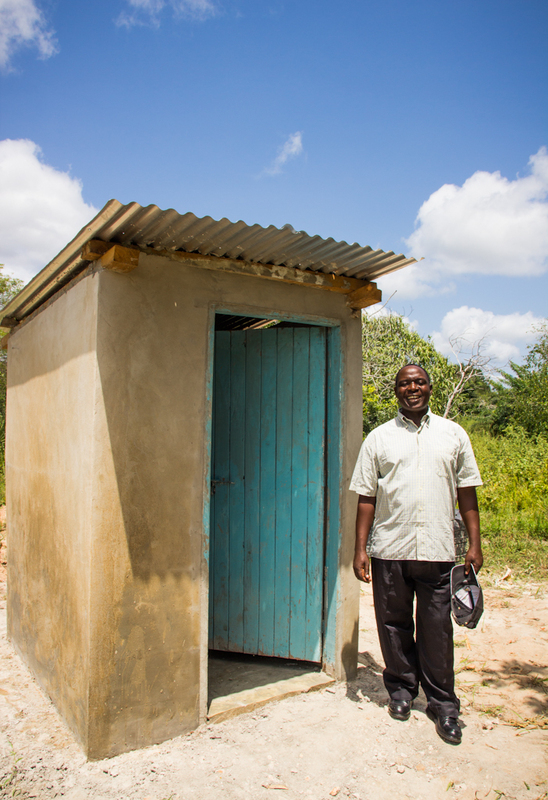 Having never been educated about the importance of drinking clean water, relieving oneself in a contained area, and washing one’s hands, preventable diseases were rampant among local residents. 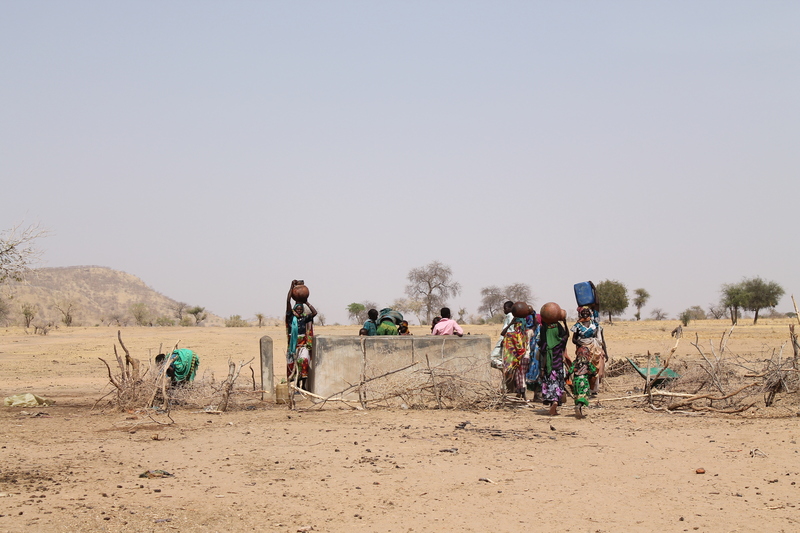 Because of their partnership with World Concern, Basuba’s residents are now able to collect clean water in this djabia. 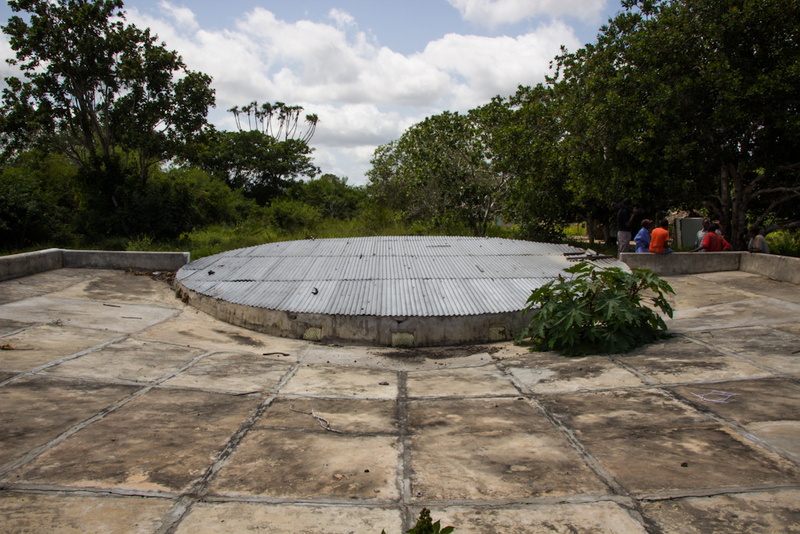 In the past three years, World Concern has partnered with the people of Basuba to install a large djabia (a clean water catchment pictured above) and 20 latrines. Sitting on the dirt in Ilova’s doorway, I cannot help but feel overwhelmed by the glaring simplicity that is such an immense issue – an issue that is lessening both the quality and length of human life all over the world. Simply put, many survive without available, clean water and hygiene education. These should be a basic human rights, yes? [Right to Left]: Ilova, her granddaughter Basho, and her daughter Ahaldo. In front/inside of Basuba’s school. Support empowers people live with dignity – to live a quality of life that is deserved by all human beings. Empowered with clean water and education, in partnership with World Concern, the people of Basuba are jumping across stepping stones toward holistic transformation. Here’s the most beautiful part: with education, training, and proper equipment, on their own, the people of Basuba are going to be able to maintain a lifestyle that includes clean water and hygiene for years to come. This is senseless. I am speechless. We are all shaken. Innocent lives were lost. And innocent lives should never be lost. One’s race, religion, economic-status, age, gender, or political affiliation have never, will never, and should never be reason enough to rob an individual of his or her life. 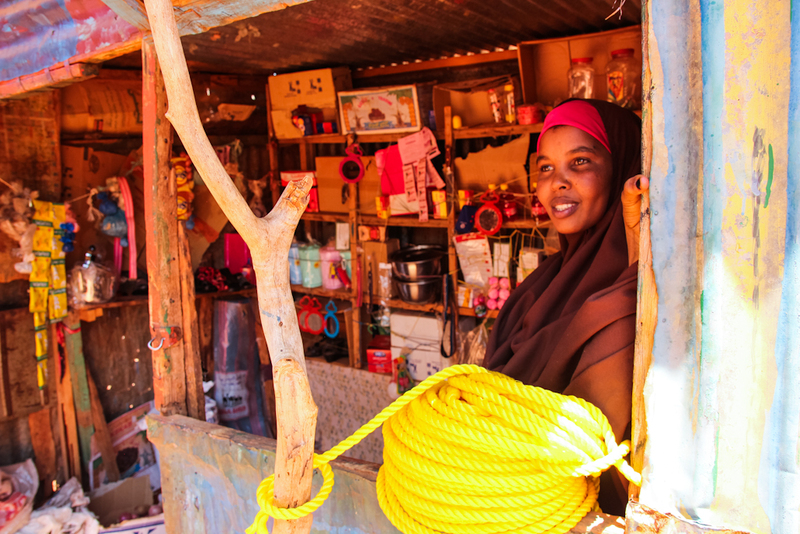 Despite the obvious tension looming over Nairobi, Kenya’s largely diverse and culturally rich capital city, home to about 4 million people, life continues to move forward. Kenyans are extremely resilient people. If you have been following Kenyan Twitter accounts over the last two days, you will have seen this popular hashtag attached to many Westgate Mall tweets: #WeAreOne. Carrying a complex history sewn together by the threads of colonization, suppression, tribal violence, political corruption, and economic difficulties, Kenyans have managed to continually strive toward unity: unity in the home, unity in the larger community, and unity as a nation. Out of the dark events of the past hours, a bright light that is the Kenyan people’s commitment to human unity has been a shining reminder that We Are One. Little children pushed other children out of harm’s way. Children pulled children to safety. Kenyan police run into harm’s way for us with no helmet, no bullet proof vests and regular shoes. A Muslim man wrote a short prayer on a piece of paper for a Christian man he was hiding with and helped him to memorize it in case the terrorists asked him to say something from the Quran. Secretary General of the Red Cross put on a volunteers vest and went on site to work with his paramedics. The Kenya Defense Forces went in there like superheroes. No hospital turned a patient away. Blood banks were full before they were empty again. #KOT outrage on NY Times images made them pull those images off. Heaven was filled with prayers and questions. “We are as brave and invincible as the lions on our coat of arms.” – President Uhuru Kenyatta. As this sickening event continues to plague the media – as speculations make their way into many a conversation – I encourage all of us to use our words wisely. No matter who committed these atrocities, no matter what innocent victims have lost their lives, we are one. As difficult as it is to stomach, we are all God’s sons and daughters. Somali, Kenyan. Black, white. Rich, poor. Male, female. Old, young. Al-Shabaab, Kenyan Military. In the aftermath of such events, it is common that previously existing stereotypes, labels, and divisions are only widened and strengthened. I encourage you to pray for those who will fall into these stereotypes and categories. I urge you to remind them that they are loved and valued. I urge you to think and process before you speak. I urge you to pray. Pray for the victims and the families of victims. Pray for Nairobi. Pray for Kenya’s government. Pray for the future of this beautiful nation. Pray for the persecuted and, equally important, the persecutor. “Westgate is a lovely place and Kenya is a very beautiful country. With 68 confirmed dead and many more people still inside the building with 10-15 gunmen, my heart sinks. I sincerely congratulate our police and army for the rescue of the more than 1,000 people from the building and my condolences to those who have been left by their loved ones. As the president said, we will not be cowed. Kenya will rise again! 10 villages. Over 35 interviews. 7 airplanes. A large variety of beds. 15 Cokes. 3 Coke-car-explosions (inevitable). 2 head-scarfs. 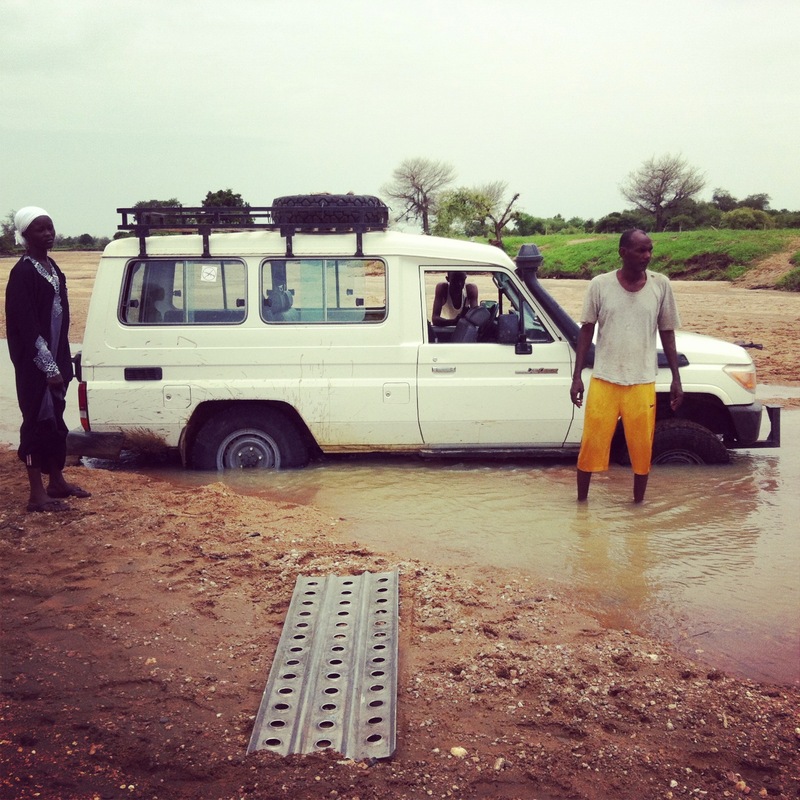 2 times getting the Land Rover stuck – once in a wadi & once in mud. 25 cups of hot tea. 1,596.97 moments of wishing I spoke French. 42 herds of camels. Countless painful stories. Countless stories of resilience and hope. 1 fantastic team of colleagues. Halime is 25 years old and has eight children. // Amkrereribe, Chad. “Our biggest need is that we don’t have any food. But our people are very good farmers – this is our strength. We can grow potatoes and tomatoes very well.” – Halime // Amkrereribe, Chad. “Our biggest need is clean water. 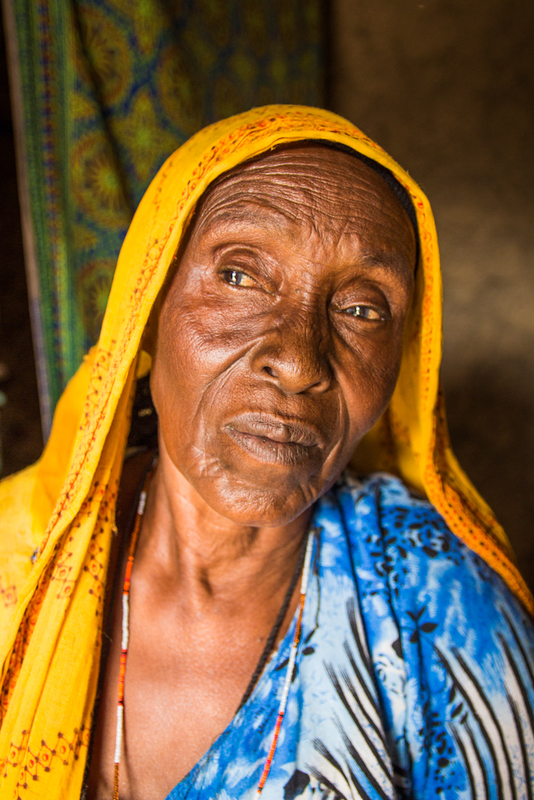 There is no clean water to drink and we are too tired from farming to boil our water.” – Yaya // Amkrereribe, Chad. 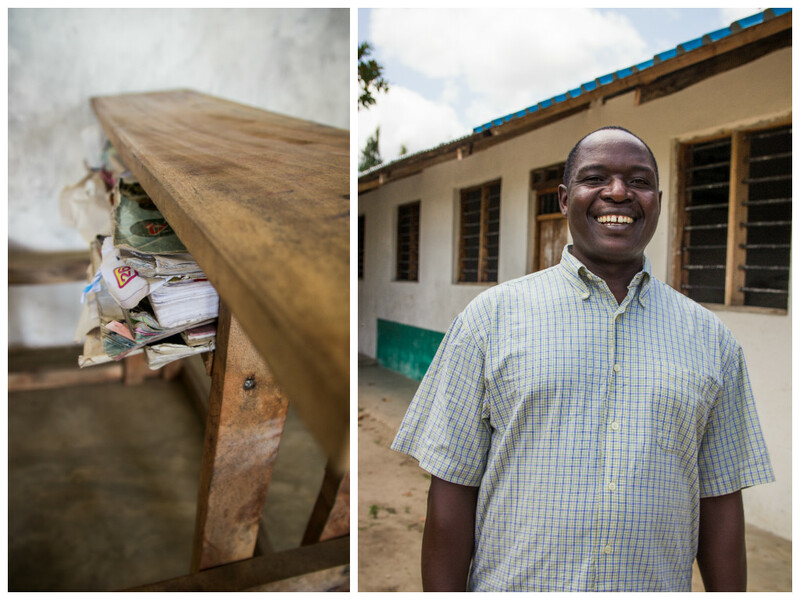 Three months ago, Abdulai returned to his home village with his two sons. 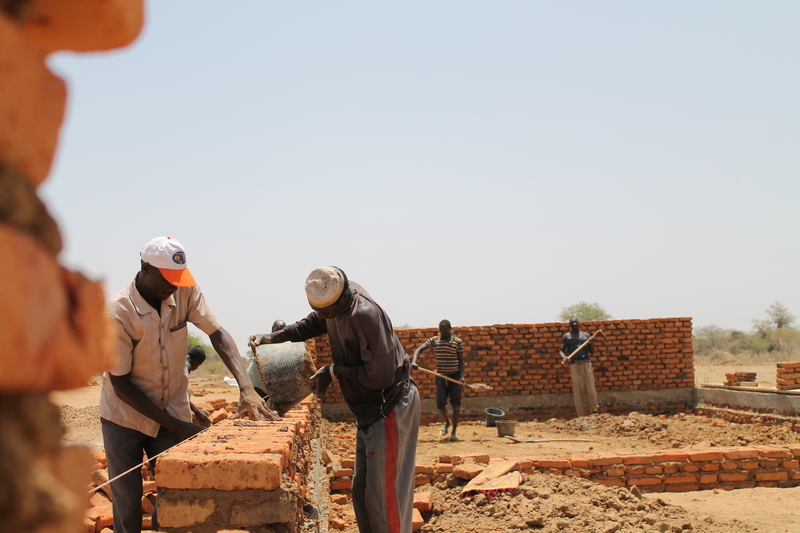 They plan to rebuild their homes, all seven were destroyed by the Janjaweed, and farm in order to prepare a comfortable life for the rest of the family. 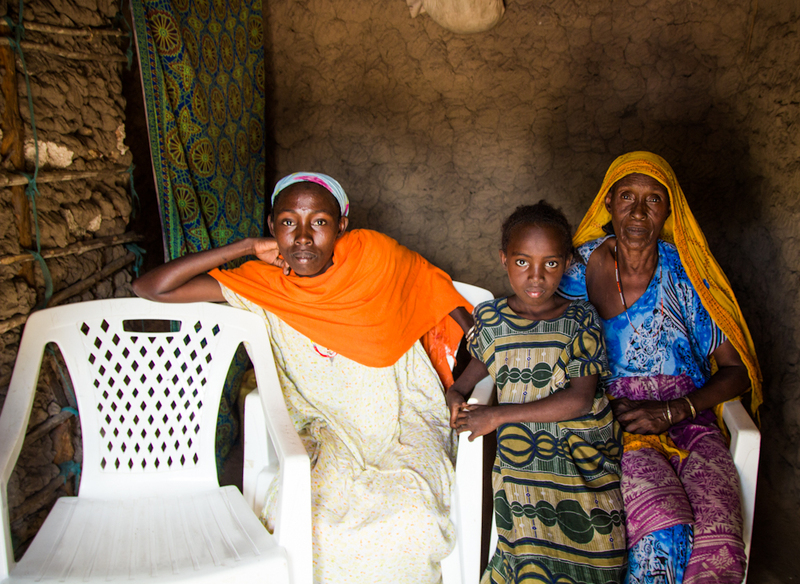 “Let my two wives stay in the camp until I have food to feed all of my children.” // N’djamena Village, Chad. The beautiful Achta Mahamat. I’ve yet to meet a stronger woman. 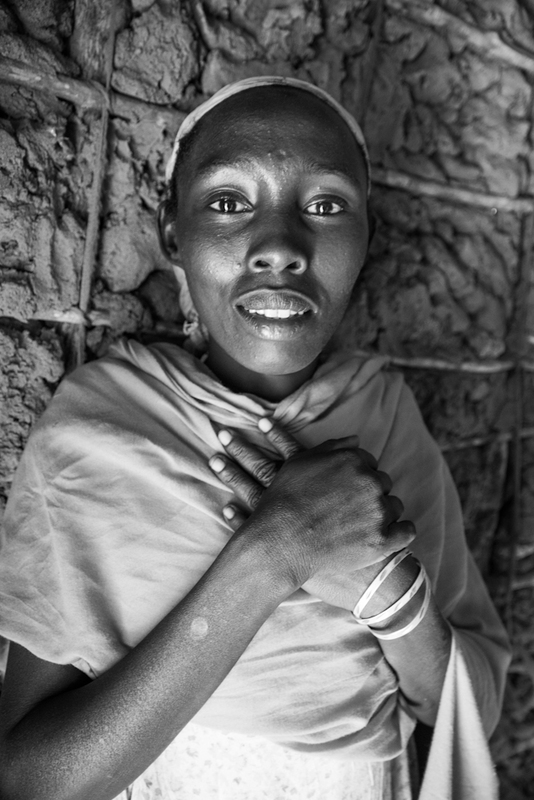 At 50-years- old, Achta has survived losing her entire home to the Janjaweed and four children to preventable diseases. 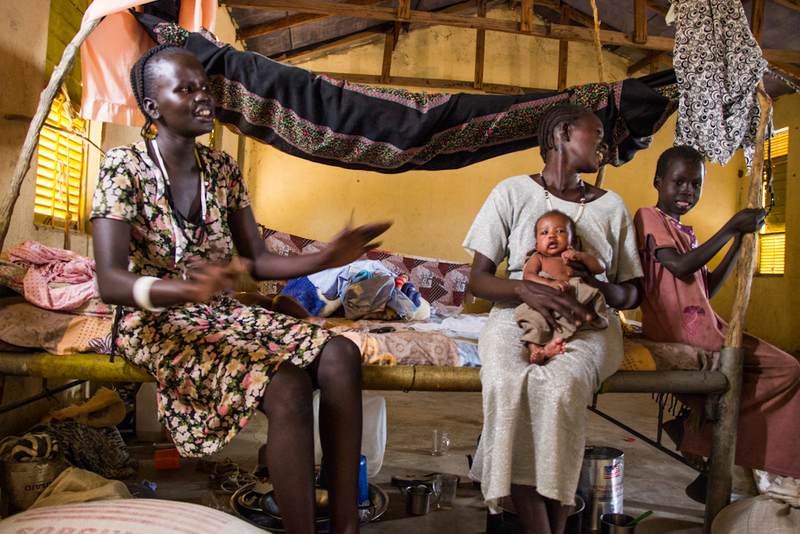 “We don’t have a hospital here. It is too hard for a mother to see your children dying. 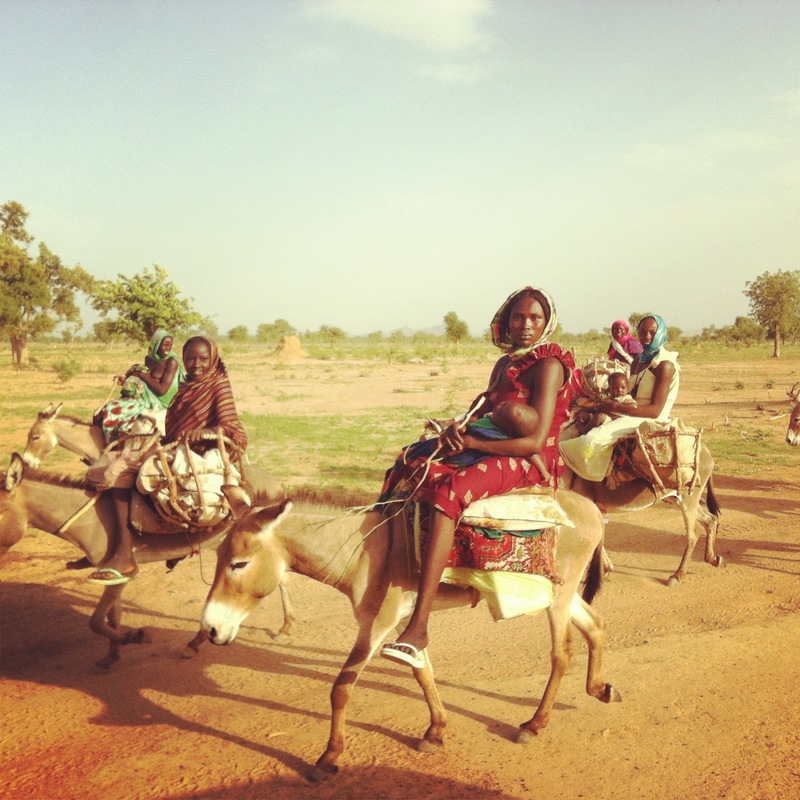 I don’t know if it was the water that was giving them sickness.” // N’djamena Village, Chad. Age is beauty. // Karona, Chad. Buddies stand outside their new school (built by the community!). // Harako, Chad. The power of a woman. // Tessou, Chad. “In Gassire, people were not giving us foods. 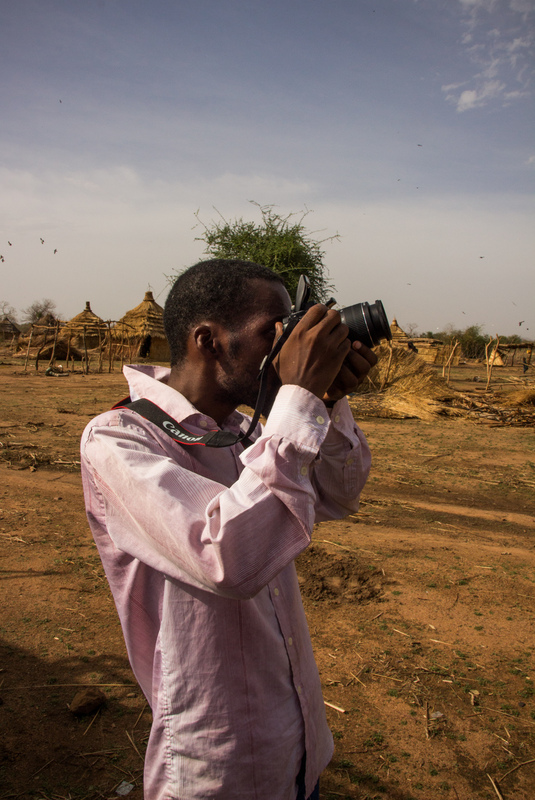 Even if it is not safe here, we would rather farm our own lands.” – Achta // N’djamena, Chad. Sibling fascination. // Abeche, Chad.